NEET Result to be announced on or before 26 June 2017 at www.cbseneet.nic.in as per the latest notification by SC. The Supreme Court of India has over-ruled the stay issued by High Court of Madras and has ordered CBSE to declare the result by 26 June 2017. The Central Board of Secondary Education (CBSE), which conducts NEET, said it will declare the NEET results by June 26 as per the SC order. The results were originally scheduled to be released June 8 but have been delayed. The NEET Answer Keys (Official) are released on 15 June 2017 (Check: CBSE NEET Answer Key 2017). 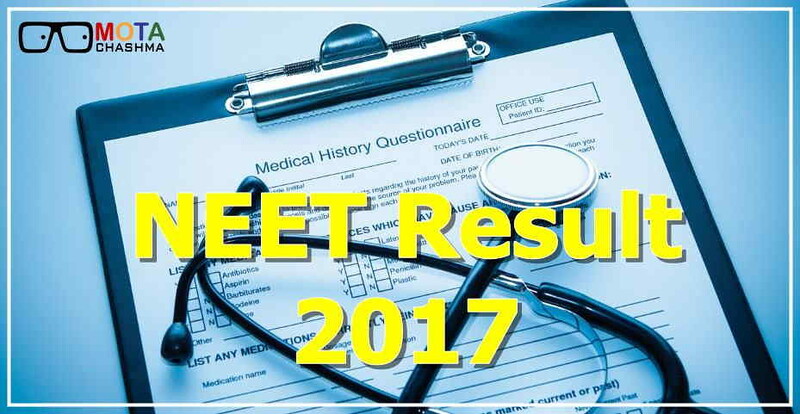 The NEET 2017 Results contains the Rank of the candidates followed by the marks secured by them in all the subjects. The NEET Exam was conducted on 7 May 2017. The Madras HC on 24 May 2017 had put a stay on the declaration of results on finding that while the NEET question papers for nearly 10.5 lakh students who took the examination in English and Hindi were same, they were different for those who appeared in the test in eight vernacular languages - Tamil, Telugu, Marathi, Bengali, Assamese, Gujarati, Oriya and Kannada. The Supreme Court also ordered all high court not to entertain any petition on NEET 2017 as it will delay the admission process which will put an additional burden on students and their family members. The candidates who are eagerly waiting for their NEET Results have to follow the given below easy steps. Firstly candidates have to be prepared with their NEET Admit Card 2017. STEP 2: Now the candidates have to enter their Admit Card / Roll Number in the required space. STEP 3: The candidates have to now enter their Date of Birth in the required column. STEP 4: Now the candidates can download the NEET 2017 Results on their screens. The current year statistics are given below for the current and previous year are given below. In a case of any query related to NEET 2017, you can write us in the comment section below.